In the next hilarious instalment of Tom Gates, Mr Fullerman has a class assignment: a family tree! 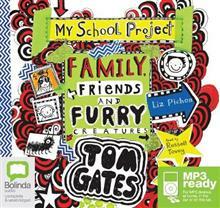 Tom's ready to learn all about the Gates family, his friends and a furry creature (or two!). But just what's that squeaking sound coming from Tom's shoes? 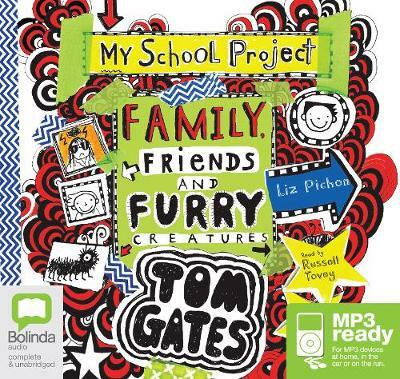 Liz Pichon studied graphic design and has worked as an art director in the music industry. Her freelance design work has appeared on a range of products and she has written and illustrated a number of picture books, including My Big Brother Boris. Liz is the author of the bestselling Tom Gates series, which has sold 1,000,000 books in the UK alone and been translated into 36 languages. Liz is married with three children and lives in Brighton. Russell Tovey is an English actor with numerous television, film and stage credits. He has become a well-known name for his roles in programs such as Him and Her, Being Human, The History Boys and HBO's Looking. He also starred in the Broadway production of Arthur Miller's A View From the Bridge which won two Tony Awards in 2016.